Sand washing and dewatering machine is often used in wet sand production line. 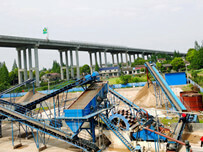 It combines the advantages of sand washing machine and dewatering screen. It has both washing sand and dewatering functions, and the washed sand is cleaner. 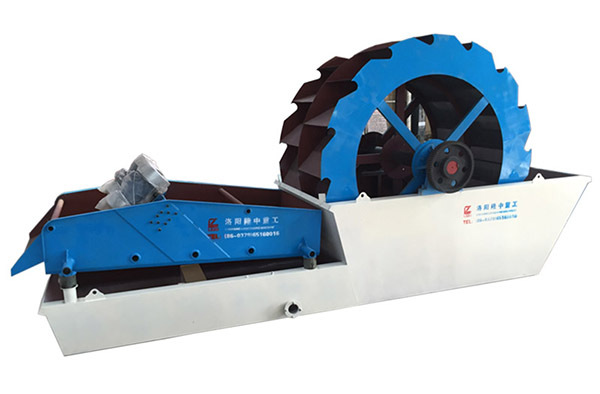 The appearance of sand washing and dewatering machine solves the problems of sand in the washing sand is too wet, contains a large amount of mud, dust and impurities, and belongs to a new type of environmentally friendly sand washing equipment. 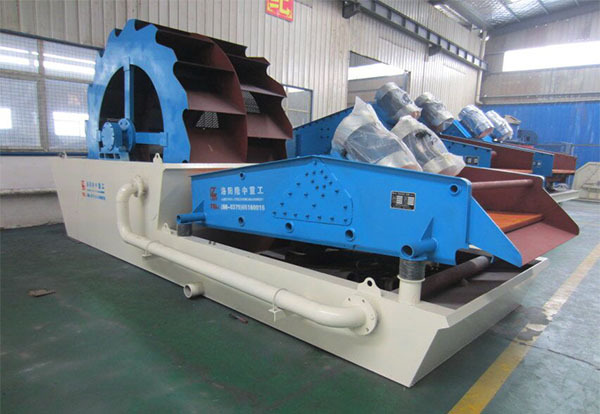 In the first few years of mining industry, bucket sand washing machine is always been an indispensable washing equipment in artificial sand and natural sand. 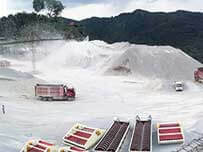 However, with the continuous development of mining industry in recent years, the drawbacks of wheel sand washing machine were infinitely magnified by numerous sand and gravel production lines, and a new type sand washing and dewatering machine appeared. The sand washing and dewatering equipment designed and developed by Longzhong can be widely used for the washing process in in sandstone, mining, building materials, transportation, chemical, water conservancy and hydropower, concrete mixing stations and other industries. Sand washing dewatering machine is a water washing device used in conjunction with the sand making machine, which can wash away the stone powder and impurities contained in sand to improve sand quality. Structure: consists of dewatering screen, wheel bucket, washing tank, reducer, motor, vibration motor and other components. Sand washing and dewatering machine is mainly divided into two parts, one part is bucket sand washing machine, which mainly used to clean sand. 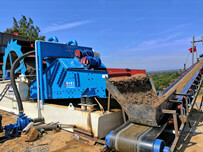 The other part is dewatering screen, which is mainly to dewater, and classify sand. 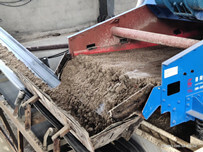 When the equipment is used for sand washing, the sand can be cleaned, dehydrated and classified twice, which will greatly reduce the water content, mud and impurities in sand and improve the sand quality. Then the sand can be sold at a high price, so the economic benefits are raised. Therefore, when the user encounters the problem of poor quality of sand in the process of washing sand, it is a good solution to use sand washing and dehydrating machine. 1. The sand washing and dewatering integrated machine combines the advantages and characteristics of two kinds of equipment: sand washing machine and dewatering screen. 2. The mud, water, dust, impurities, etc. in sand are greatly reduced, and the price of sand is improved. 4. The whole machine is installed and the transportation is convenient and fast.